Email marketing is still one of the most cost-effective ways to get more leads and online sales. According to this a web survey, 81% of customers say that email marketing is very important to grow your business, and 75% of small business owners or freelancers use email marketing for their businesses or startups. More than 205 billion emails are sent daily. The Email Date Quality Reports by Experian say that a majority (73%) of companies experienced email deliverability issues in the past 12 months. What these two stats say is that emails get sent by the billion daily, but a lot of people are not getting them, opening them, reading them, or clicking on links in your emails. So how do you optimise your email marketing campaigns to maximise deliverability, open rates, click rates, replay rates and conversion rates? 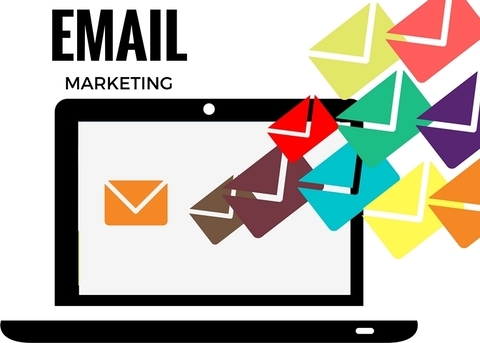 You can convert a lot more recipients in your mailing list into customers if you make use of these email marketing strategies to grow your business. According to Yesware, personalised emails can deliver nearly 50% higher open rates and nearly 22% higher reply rates. Experian notes that personalised emails deliver 6x higher transaction rates. Email marketing generates $0.11 revenue on average, which means that you can expect $11,000 in revenue if you send out 100,000 emails. Superoffice data likewise shows that emails with personalised subject lines generate more open rates in comparison to the ones without any. As per Emailmonday, 27% of all marketing emails were opened on a mobile phone five years back. Three years ago, that same number had shot up to 42%. A year ago, it was as high as 54%. A full 62% of us now check our phones, messages, and emails first thing in the morning on smartphones. So, when we get emails that cannot be opened on our mobiles, what do we do? – We delete it!! On the other hand, 55% of smartphone users have made at least one purchase after opening a promotional email on mobile devices. So making sure you have responsive mobile friendly templates for your emails and newsletters is crucial for increasing email marketing campaign performance. – 24.97% lower Unsubscribe requests. Lots of online buyers browse for products they need online and many will add them to shopping carts, but exit without completing the transaction. It may be because of the price, lack of discounts, shipping costs, payment options, wtc. This happens a lot to ecommerce businesses and online retailers. But then, some of them will instantly send you an email showcasing the exact same merchandise you added to your cart, offering 10% – 20% off on the list price, free shipping, free add-on products, etc. That is the power of trigger mails, and this is also where click tracking tools come in handy. When a recipient clicks on a link in your email, you get an instant notification. Responding to the lead at that time tends to increase conversions from your email marketing campaigns. You can do this in Mailchimp by enabling click tracking (see image below). Make sure you run your emails fully through spam testing tools like GLockApps Email Spam Tester to check the deliverability of your email. Emails that do not land up in junk instead of the inbox of your subscribers will not be read, and it makes a huge difference to your lead conversion rate if Gmail, Yahoo or MSN mark your mailer as spam. It’s important to test and tweak every part of your email to optimise each section. Test the ‘From’ Address. The name that appears in the ‘from field’ makes a huge impact on the reader. For a better response, test the ‘from address’ by sending your mails in a specific person’s name, who could be your company CEO or a celebrity spokesperson. Plain Texts Vs HTML Campaigns – HTML emails score better than text, but images, links and videos and any kind of code are more likely to get your mailer marked as spam. Once a subscriber opens your first mail in simple text or HTML, the subsequent ones can be more stylish and content-rich. Keep your emails short and get to the point with a call to action above the fold. You can ask readers to click on a link that takes them to a more detailed and informative landing page. Bounced emails, unsubscribe requests or spam complaints are indicators of problems in your mailing list and its management. Regularly updating lists by removing incorrect or inactive emails ensures that your newsletters and mailers go only to real people who want to hear from you. Implement all these email marketing strategies, make use of the recommended tools and best practices. You will see an instant and significant increase in your conversion rates and sales. Want more profits and sales? Get office space at the Evoma Business Centre in Bangalore. Find out how we help startups and small businesses grow fast.